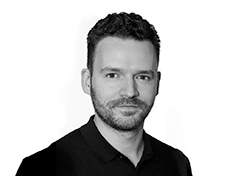 Andrew has a love for creating strategic solutions as a Planning Director at TBWA\WorldHealth in London. This passion for developing creative strategies is evident in every health and wellness account he touches, from local to regional to global. Prior to joining TBWA\WorldHealth a decade ago, Andrew pursued a PhD in literature… that is, until he came to his senses. Recognizing his true love for storytelling—in combination with TBWA’s Disruption mindset—Andrew realized how the marriage of these concepts would be the perfect fit for promoting healthcare brands with purpose. Andrew’s pursuit of creativity resonates in every project he’s a part of. Whether it’s traditional brand platform creation, audience insight mining, or trends analysis, Andrew’s passion for fresh, creative thinking yields strategies that result in lasting change.